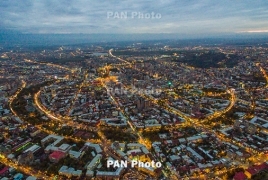 PanARMENIAN.Net - The 2019 edition of the Summit of Minds will be held in the Armenian cities of Yerevan and Dilijan on June 7-9, President Armen Sarkissian's office said Thursday, February 14. The Monthly Barometer - an analytical and predictive newsletter - will serve as the General Partner of the event dubbed the Armenian Summit of Minds. Once a year, the The Summit of Minds brings together 300 personalities and their partners in Chamonix for a three day conference centered on new ideas and friendships. During an official visit to the French town of Chamonix, Armenian President Armen Sarkissian met Thierry Malleret, director of the Monthly Barometer. It was then that two agreed to hold the next edition of the summit in Armenia, which will become the first country ever to host the event outside Chamonix.